Well, my three week loan with the cloth nappy library is over and I have to say that despite all my doubles, I actually miss using cloth. I’m back to disposables and while they’re a lot easier in ways, they are not very pretty to look at and I don’t get the same smug relieved satisfaction of not adding to the landfill. But I’ll do a proper close off of the loan later this week. This is a post a meant to write two weeks ago, but as usual, I am running far behind, but I thought, who cares, I’ll write it anyway because it was a really good event that I’d love to see more people attend. 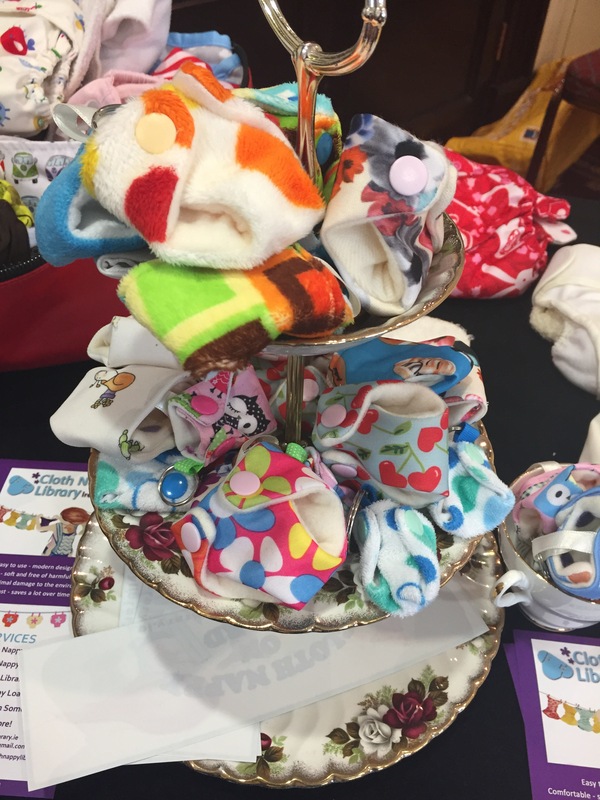 So, this is the annual Earth baby fair run by the cloth nappy library to get the general public up close and personal with cloth nappies. I first attended the fair years ago when Roz was still a baby and it was not under the earth baby tag but something else (can’t remember what) and went specifically to look at baby carriers and I enjoyed it then, and am happy to report that I enjoyed it this year too. So, mostly it’s about nappies, but think more about zero waste and environmentally friendly things when you get there. Held this year in the Glenroyal Hotel in Maynooth and in Cork (the first time they held it twice in one year), I went to the one in Maynooth as it’s closer to me than Cork. It was from ten till four, so lots of time to get there and have a look around. The volunteers are parents too, and what better way to work than with baby in a ring sling. 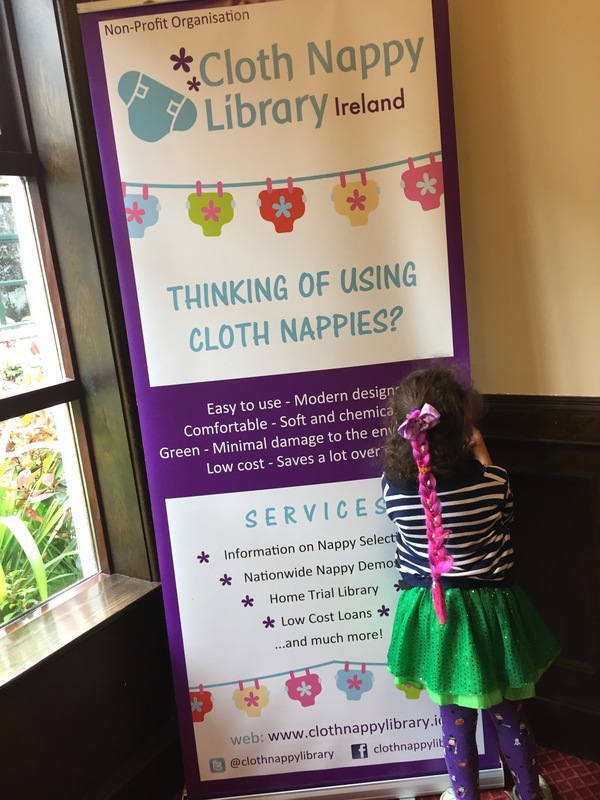 image by cloth nappy library Ireland. We set off at twelve and found the parking lot full of cars. A great sign, really, because that’s what you want for an event. The tickets were five euro per person or eight euro for two, and kids enter for free, and there was free entry for last minute entrants after three in the afternoon. 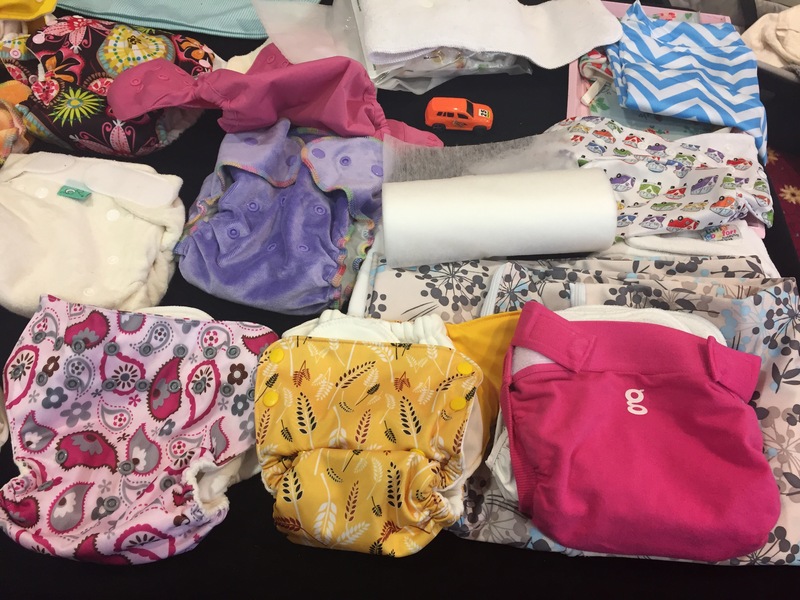 It was set out really well, with one room dedicated to cloth nappies, where you could go in and chat to the volunteers (it’s a fully volunteer run library) and ask questions, get a feel for different brands, inserts, liners etc. One room for talks, One room for the stalls, another for more talks, it meant a lot more room to roam around. I had a talk with one of the volunteers there who was telling me all about what prefolds were (I had some in my loan kit but had no idea how to use them), how to care for the nappies, what the different materials of the inserts do, for example hemp versus cotton, washing at sixty versus at thirty degrees, it was all really interesting. 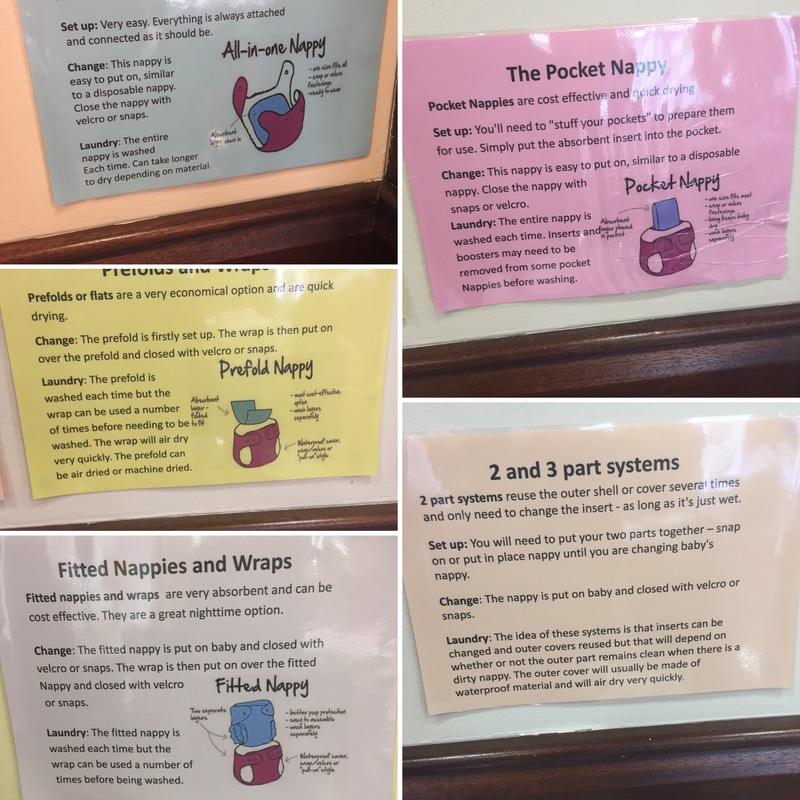 There’s this whole other world I had no idea existed that revolves around cloth nappies. Cloth nappy key rings. How cute are these? Hundreds of brands of nappies, hundreds of brands of liners; disposable liners; reusable baby wipes – the last just sound like something I wouldn’t try at. all. But fair play to those who can, or have no other choice. Everything beautiful and colourful and tempting. 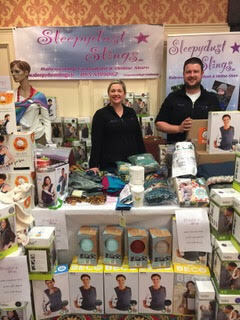 The main hall had many non-nappy related stalls too. From handmade jewellery, beautiful sustainable children’s clothing, lots and lots of gorgeous slings and carriers, wooden toys, free face painting and colouring stations for kids. 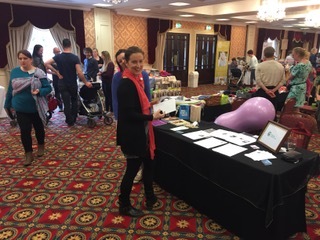 Doulas, gentlebirth practitioners, It was very child friendly and Roz really enjoyed it. Look at all those pretty colours! You wouldn’t find disposables that looked like this. Throughout the day there were also various talks and demonstrations. 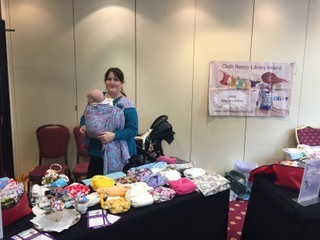 From how to carry babies in different types of buckle carriers, slings and woven wraps and stretchy wraps; baby sign language talks; postnatal care by midwives, gentle birth talks on labour, La Leche League talks, it was a packed day. What I loved about it was there was no where you had to be. You could dip in and out of various talks, only go talk to who you wanted to, spend the day buying all the things that were on sale or, like me, carry no money with you and instead look guilt and temptation free at all the wares. Okay, I did buy one teensy little thing from this stall. They had fab nappies and carriers. What I liked most though was that it didn’t feel like a place where merchandise trumped all. I could stop and chat to the stall holders, and there were already a few familiar faces around because you always tend to meet the same people when you start off on this type of parenthood path. Which is a good thing for me. There was an open community feel about it that I’m always missing and it’s nice to go somewhere where you recognise a few faces. 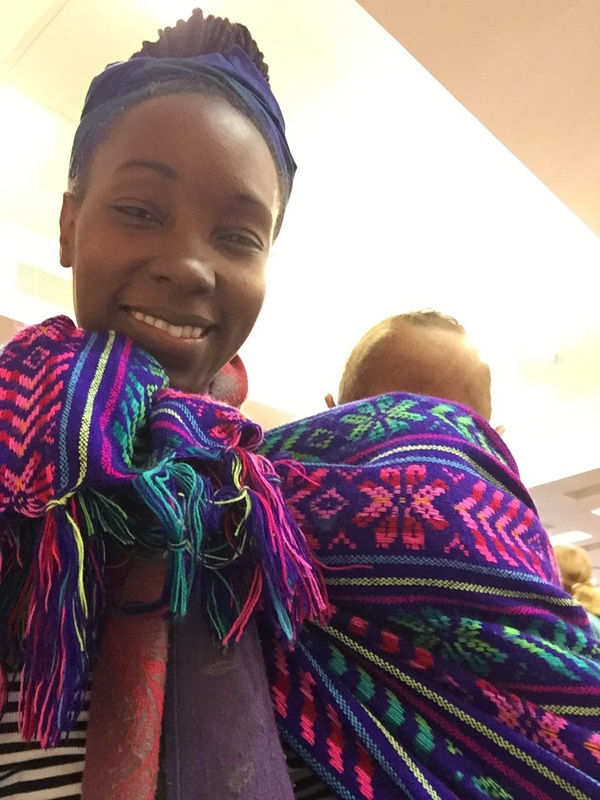 Especially handy when you find you left your sling at home, and the very kind Rita from Rita your doula lent me her Rebozo to carry the baby in. It was beautiful and the material was gorgeous. Look at those lovely colours. I carried her on my back in a traditional Zambian carry then swept her to my side so she could have a good look while we walked around. I’d forgotten completely that you could do that, till I had this fab material. I very nearly forgot ‘accidentally on purpose’ to give it back. The venue was also good. Just opposite the main Maynooth bus station, and I remember it well from my college days, and within walking distance of the train station. The glen royal shopping centre is beside it, and there’s also a cafe attached to the hotel that had decent enough food at reasonable prices. Krys got food from the SuperValu in the shopping centre, while Roz had chips and chicken goujons and I had a bowl of chips and tea and it came up to less than a tenner. Not bad. And there was parking behind the hotel and behind the shopping centre. The latter was paid parking though, so we were lucky enough to spot someone leaving in the very jammed hotel lot. Overall, would I go again? Definitely. I’d take longer at some of the stalls like the reusable sanitary towels, and all the various sling demos. If you’re pregnant it’s fantastic because the doulas and midwives are a wealth of information away from the pressure pot of crowded maternity hospitals. I’d linger at the wooden toy stalls without a six year old crying that we have to get her something, ANYthing because who goes somewhere and buys nothing? bar one tiny tiny little necklace. Disclosure: I was given one complimentary ticket to attend the event for purposes of this review, but paid for Krys’ ticket. Kids were free. I never knew such an event existed! I don’t even have children yet haha but what I do I am leaning towards using cloth diapers (nappies) versus disposable ones. A lot of people I know think this is strange- but I disagree! Thank you for sharing! You’re welcome. I’m not yet sure whether I’m going to fully convert but I’m still mulling it over. Thanks for commenting.